Would you jump or dive off a ten-metre tower into a swimming pool? A new short film that debuted at the 2017 Sundance Film Festival shows people’s amazing reactions to attempting a leap of faith off such a tower into a pool. We all have a fascination with immersion into water and that’s very evident in this fascinating film. The volunteers are obviously drawn to the pool yet have to overcome their fear of heights. Could you do it? And whether you would jump or not, it’s an undeniable fact that here in Queensland, we all love our swimming pools. It’s not called the Sunshine State for nothing! The last time statistics were calculated, 280,000 private pools dotted the state – 14% of the population. But as potentially hazardous as leaping off a 10m tower may be, there’s no less danger for our young ones around any pool. Thankfully, no-one would today consider having or installing a pool without making sure it has a secure pool fence that met all the requirements of the law. Today, you can take the risk out of pool safety. Northside Fencing has installed 100s of legally compliant pool fences across the Northern suburbs of Brisbane. Irrespective of the style, material, finish that suits your yard, Northside Fencing has you covered. Classic tubular or elegant glass panels, we’re there for you. We can even offer you any colour from our own powder coating plant. 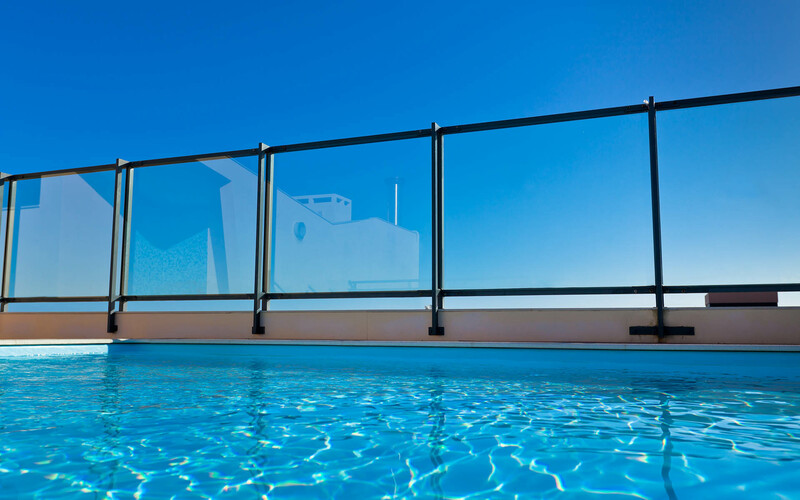 Whether you have a lap pool, a spa pool, a geometric pool close to your property , in fact any design in any location, we’ll make sure your loved ones are safe with pool fencing that reflects life in the Northern suburbs – contemporary designs that visually merge with your yard – stylish, strong, long-lasting and 100% safe. For the Northern Suburbs’ best pool fencing options you only need to remember one company – Northside Fencing.